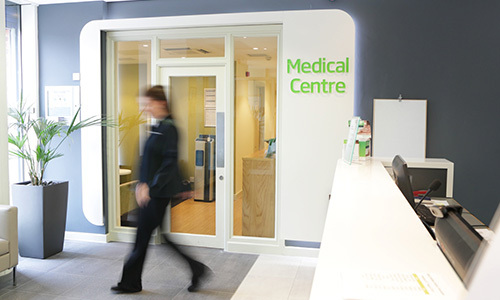 The Wharf Medical Centre provides you with quick and easy access to the finest private health services in London. In a modern healthcare setting, we offer a full range of health and wellbeing services. We take a business-conscious approach to patient care and pride ourselves on the high level of clinical excellence that is routinely delivered by Nuffield Health. We also believe that patient care means much more than just medical attention, which is why at Canary Wharf we’ve taken the idea of first-class service to a whole new level. Our opening hours are Monday-Friday from 08:00 - 18:00. We're conveniently located just a short walk from South Quay DLR and Canary Wharf tube stations. Download a map and detailed directions of our location.